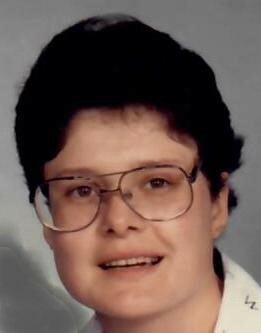 Starlene S. Rose, 55, of Jamestown, passed away Sunday, Aug, 26, 2018m at Mercy Hospital, Buffalo N.Y.
Starlene was born June 15, 1963, in Jamestown, N.Y., to the late Leona and Floyd Rose. She worked in many motels around the area and at Bush Industries in Jamestown, N.Y.
Starlene will be remembered as a loving sister, aunt and friend. She is survived by her brothers: Steven Rose, Donald Rose and Paul Rose; her sister, Diane Patterson; and 19 nieces and nephews. Starlene is preceded in death by her parents, Leona and Floyd Rose; brothers: Robert Wrobelski, Ronald Rose and David Rose. Calling hours will be Friday, Aug. 31, at Hubert Funeral Home and Cremation Services from 11 a.m. to1 p..
Burial to follow at Sunset Hill Cemetery, Lakewood N.Y. A religious service will be held at 12:30 p.m., at the funeral home.